The Swiss pianist, composer and classical improviser with Bulgarian roots belongs to a minority of musicians who seek an unconventional approach to the classical repertoire and continue to make a significant contribution to the vitality and attraction of classical music. To preserve this legacy is the ultimate motivation of her musical endeavors as every one of her concerts is a new creation; be it the cadenza of Beethoven’s piano concertos or a fugue on a well-known classical theme – Galina Vracheva composes her own version on stage, at the spur of the moment. She follows a long tradition and is particularly devoted to her primary rôle model, Franz Liszt. 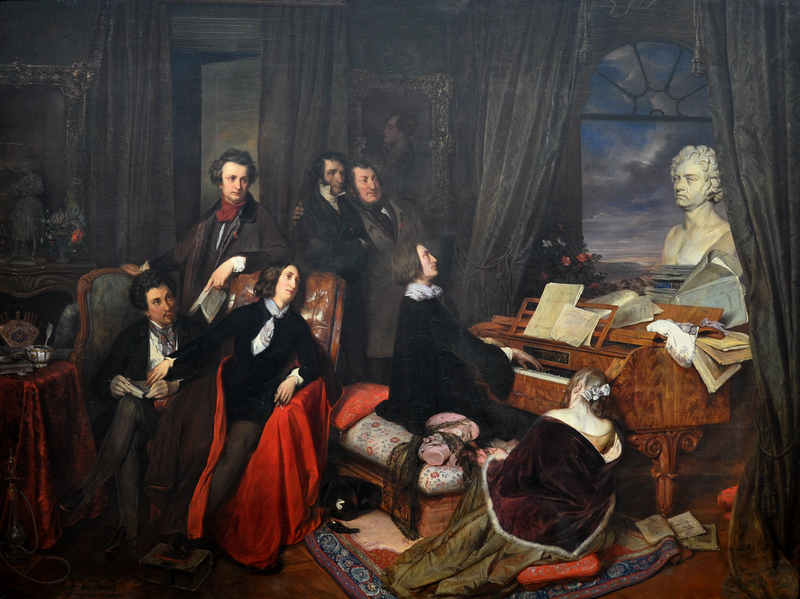 Though Liszt put pen to paper to immortalize his brilliant compositions, he would also improvise at the piano; his spontaneous fantasies took his audiences’ breath away and put his numerous female admirers into ecstasy. Galina Vracheva, who was educated at the conservatories of Moscow and Munich and took first prize in several international competitions, discovered her personal affinity to classical music through her improvisations. Her concert performances demand the highest degree of concentration: As a soloist, she invents a new, never before heard cadenza at every rehearsal and every concert. She composes without any prepared score, on the podium, whether in the Tonhalle in Zurich or the Residenz in Munich. She surprises on every such occasion with a seemingly inexhaustible plethora of ideas and a willingness to accept risks that only few musicians dare – or are able to – take. True to her special calling Galina Vracheva has accepted a further challenge: She improvises not only on the concert stage, but has begun to do so when recording her CDs – which are then published as is, without having seen the cutter’s knife. The result is a unique collection of recordings which includes piano concertos from Mozart and Beethoven to Chopin and Tchaïkovsky, more recently complemented with improvisations on arias out of the famous operas and on folk songs and Christmas carols. Has the improvisation we just heard been rehearsed and practiced? 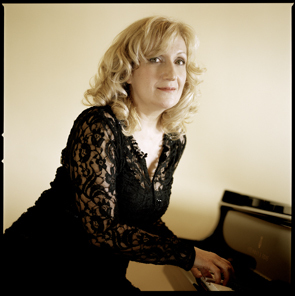 A question that comes up rather regularly, but Galina Vracheva preempts all skepticism: Just as Liszt used to do, this pianist sources her inspiration from her audience. With pleasure and without any hesitation she fulfills the wishes she receives from her listeners, be it a favored melody, a poem or a lively reminiscence. Her concept has found ready takers among radio stations: During the past five years, Galina Vracheva has been a regular guest at Swiss radio SRF 2 Kultur and at the Bayerische Rundfunk, such as BR-Klassik’s well-known live radio show „Wunsch:Musik“, during which the pianist, supported by the superb moderator Sabine Sauer and a dedicated radio team, accepts listeners’ wishes over the telephone. Due to the success of this program, BR-Klassik has invited Galina Vracheva to give a live concert in the concert hall of the Bayerische Rundfunk, with listeners following on livestream and phoning in or placing their wishes via the BR website. A curiosity for everything that is new and the integration of the unusual into the familiar are the hallmarks of Galina’s personality and crucial elements of her art. The pianist strives for an open exchange, an interaction with her audience whom she wants to become a part of her creations. The spontaneity of her musical expression requires an intimacy with her instrument, which Galina Vracheva considers an extension of her own body. Technical brilliance is, however, not an end in itself. Galina uses her intuition in search of the appropriate harmony and the ideal sound, exploring the possible and impossible, continuously probing her limits in dealing with the unfamiliar and the undiscovered. Galina Vracheva’s building blocks for a successful improvisation are the imaginatively employed musical forms and her respect for the structure and style of an oeuvre. Galina Vracheva strives to maintain the tradition of a continuously rejuvenated art of improvising. She has taught at the conservatories of Munich and Berlin and was guest professor for concert improvisation at the Tchaïkovsky Insitute in Kiev. Since 2000 she has been giving master classes at the Conservatorium van Amsterdam, since 2001 at the Haus Marteau near Bamberg and starting in 2014 at the Conservatorio della Svizzera Intaliana.